Tracking your professional credentials can be tedious and time-consuming – not to mention a real hassle when you can’t find that certificate from a training program you completed! We’re here to help! 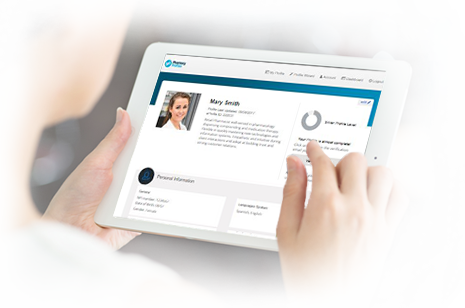 Perhaps most importantly, Pharmacy Profiles helps you keep your professional credentials up-to-date. This is vital as your professional services role and the scope of pharmacy practice expands. And it will be critical as pharmacists achieve health provider status in more states and at the federal level. For physicians and countless health providers, ongoing credentials verification is routine – and a requirement to participate in provider networks and deliver an array of patient care services. You’ve worked hard in your career, so let us make it easier for you to manage your professional credentials. 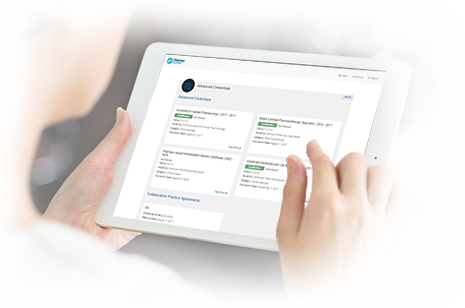 When you claim your Pharmacist Profile, you gain access to a secure online platform where you can maintain all of your professional information in one place – licensure, advanced training, certifications, education, employment, awards, publications, interest areas and more. And it’s free to you! There is no cost to set up or maintain your Profile. It’s quick and easy! Not only will you have a one-stop repository for your information, you will also position yourself to take advantage of emerging opportunities for pharmacists. You will prove you’re qualified to provide – and be compensated for – patient care services. Your can document your eligibility to provide these services as mandated by many states and payers. Need a little help? View our handy guide to completing your Pharmacist Profile or contact support. Important professional information will be automatically added to your Profile by leading pharmacy organizations – NABP, ACPE, NCPDP and more.